EC-Council has strengthened the partnership with Faculty of Computer Science of Universitas Mercu Buana in Indonesia. EC-Council was appointed Universitas Mercu Buana as academic partner to implement IT Security knowledge for their current students. ‘IT security becoming a strong knowledge for students to enter global competition in 2015 onward’ says Mr. Arisetyanto Nugroho as Rector of Universitas Mercu Buana and Mr. Bambang Hariyanto as Dean of Universitas Mercu Buana. Universitas Mercu Buana is one of the universities in Indonesia who has forward thinking on building their students competency to be ready enter industries faster . University provide them the high qualification in IT Security and make their graduate easily get high paying job. Universitas Mercu Buana will continues work with EC-Council on the awareness, sharing knowledge and implement IT security knowledge for their students. It was an honor for EC-Council to help education sector in Indonesia to build strong knowledge for their students in IT Security, to help their graduate getting high qualification in industries world wide. As end of the result give their students a chance to high employed by corporation and get high paying job. This event was follow with a short seminar at their lovely auditorium and attend by more than 400 students. In this seminar we bring the issue of How IT Security equip them becoming a good talent to get high paying job in the world. They are very enthusias to listen and give tons of question to know more details about IT Security career advantage. 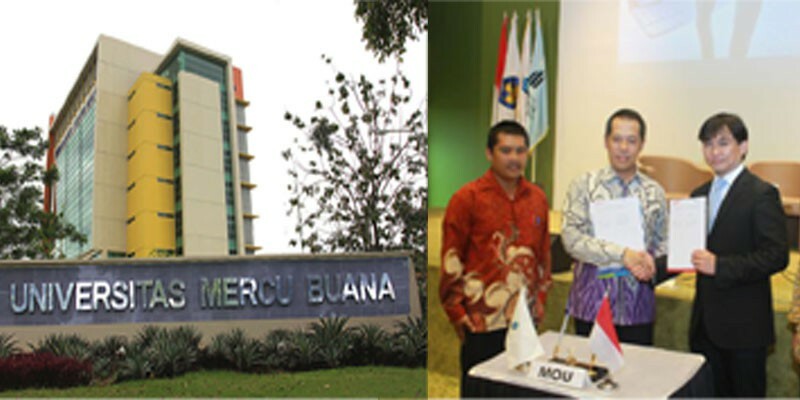 Universitas Mercu Buana was established on October 22nd, 1985 by a Renowned Business owner H. Probosutedjo who has experience as a lecture at Taman Siswa Pematang Siantar, Sumatera Utara Currently they growth by having 4 campus and 6 Faculties with more than 20,000 active students body.